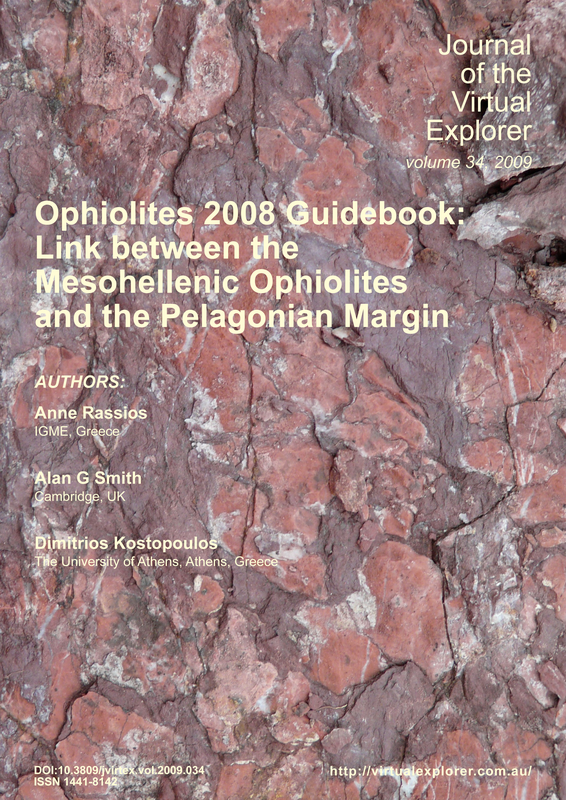 This field guide resulted from the Ophiolites 2008 conference. Key ophiolitic localities in Greece have aided formulation of primary models of plate tectonic theory, for example as exposed along the Aliakmon River below Zavordas Monastery, described as the best exposure of the base of an ophiolite in the world. The Aliakmon exposures have been used to document the initial description of the structural nature and zoned metamorphism of an ophiolitic sole. Unfortunately, much of this historic section will soon be inundated with the construction of a hydroelectric dam. This final study documents this river section, which records the rifting of Pelagonia, early formation of Tethys, and the emplacement of the Vourinos ophiolite. The west Pelagonian margin preserves a continuous section from the Pelagonian core complex gneiss-migmatites, through schistose metamorphics, and into slaty phyllites. Other classic localities of the Pindos, Koziakas, and Vourinos ophiolites enable discrimination of structure within an obducting ophiolitic nappe: mantle layering and foliation, lower temperature ductile structures, ductile-brittle and brittle emplacement related deformation are demonstrated among our stops, as well as imprint of later Tertiary Alpine deformation. The entire lithospheric section is traversed by stops crossing the Vourinos ophiolite.